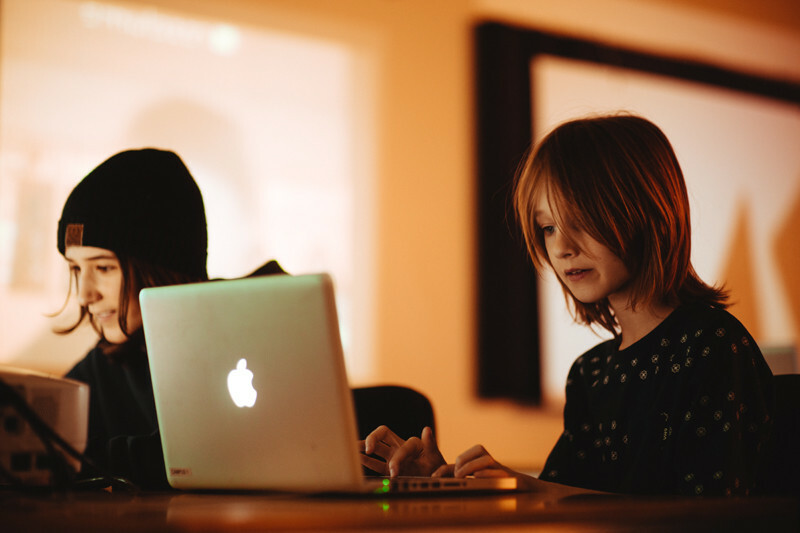 Are you creative, innovative, and a fan of new technologies? 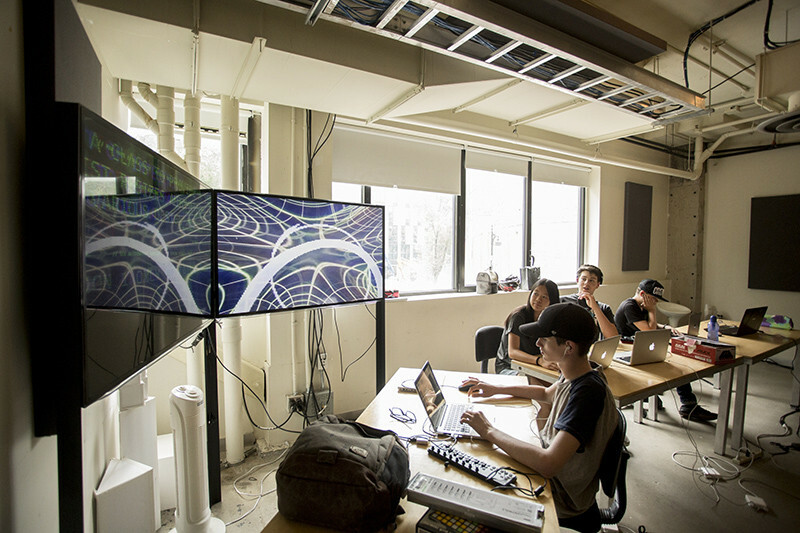 Come discover new creative tools at the SAT during our digital arts workshops, Saturdays from September through mid-December. This series of workshops is offered by passionate artists there to create with you in a stimulating environment. 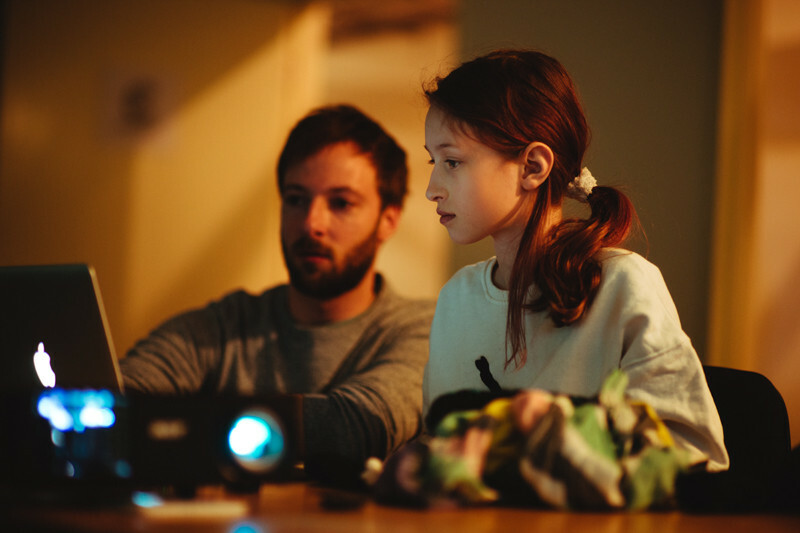 The workshops, offered in French, are held in small groups of maximum 12 participants and led by professionals who have experience in both their artistic field and educational activities. We provide the material, of course: you will have your own Mac laptop. Your parents can come 15 minutes before the end of the workshops to see your creations. And to top it all off, we welcome you in our modern space, at the heart of Montreal’s digital creation, located downtown, and easily accessible by car, bike, or public transport. All workshops are given in French. Please contact us at jeunesse@sat.qc.ca if you have questions about the language of instruction or need any help. 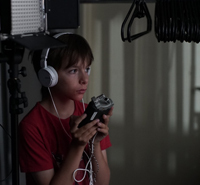 Ages 9 to 12 - Workshop duration 2H (10 AM – 12 PM) - 38$ - register ! Ages 13 to 17 - Workshop duration 3H (1 PM – 4 PM) - 55$ - register ! ► AGES 9 TO 12 – SEPTEMBER 8, 10 AM TO 12 PM – register! 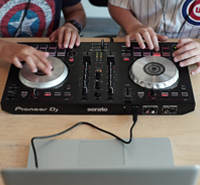 ► AGES 13 TO 17 – SEPTEMBER 8, 1 PM TO 4 PM – register! 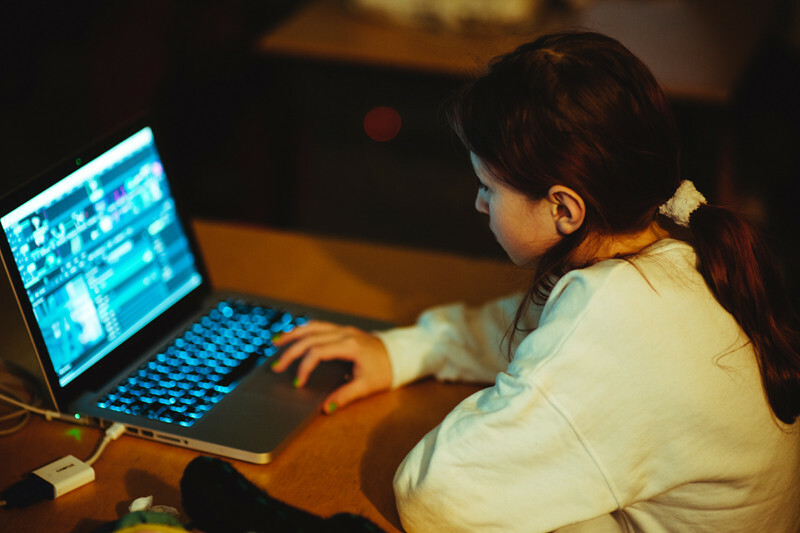 Come compose audio sequences and discover the tools and techniques of digital audio production. You’ll familiarize yourself with Ableton Live, a professional audio production software. ► AGES 9 TO 12 – SEPTEMBER 22, 10 AM TO 12 PM – register! ► AGES 13 TO 17 – SEPTEMBER 22, 1 PM TO 4 PM – register! 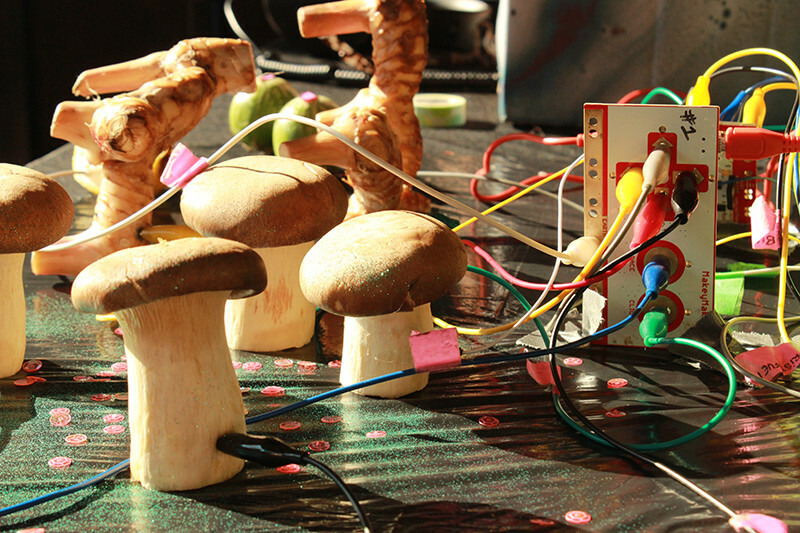 Come create experimental music while discovering the possibilities of sampling. 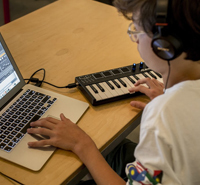 You’ll also learn to record and create your own percussive sounds and textures with the help of portable recorders and the sofware Ableton Live. ► AGES 9 TO 12 – October 6, 10 AM TO 12 PM – register! ► AGES 13 TO 17 – October 6, 1 PM TO 4 PM – register! 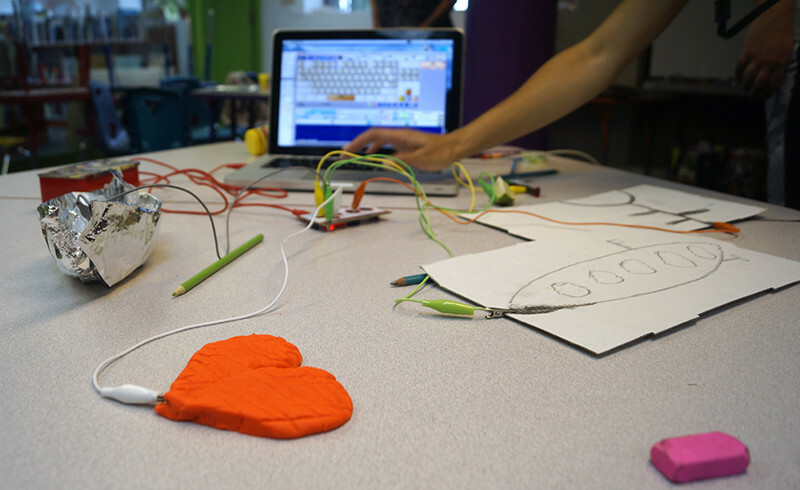 Come discover a type of artistic expression using electricity and interactivity. 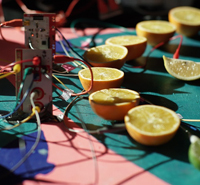 Create an interactive sound installation by assembling an electronic circuit and building a structure using everyday objects! ► AGES 9 TO 12 – October 20, 10 AM TO 12 PM – register! ► AGES 13 TO 17 – October 20, 1 PM TO 4 PM – register! Come discover how to put together a DJ set audio performance by using mixing techniques in different musical styles. 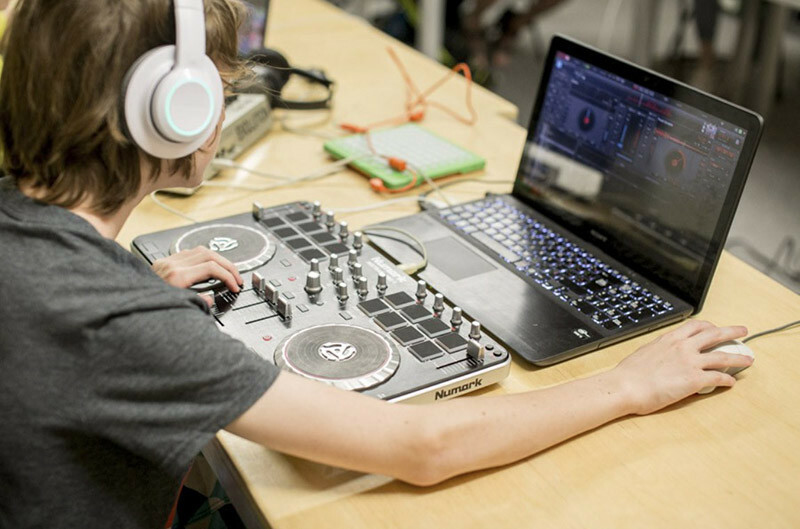 During the workshop, you’ll get to know the software Serato DJ and learn the functions of a mixer and DJ controller! ► AGES 9 TO 12 – October 27, 10 AM TO 12 PM – register! ► AGES 13 TO 17 – October 27, 1 PM TO 4 PM – register! Are you interested in animation? Do you want to send the best GIFs to your friends? Come learn about animation and the different techniques linked to this form of artistic expression. You’ll rise to the top with your animations, customized thanks to objects and illustrations you’ll create with the software and digital tools! ► AGES 9 TO 12 – NOVEMBER 3, 10 AM TO 12 PM – register! ► AGES 13 TO 17 – NOVEMBER 3, 1 PM TO 4 PM – register! 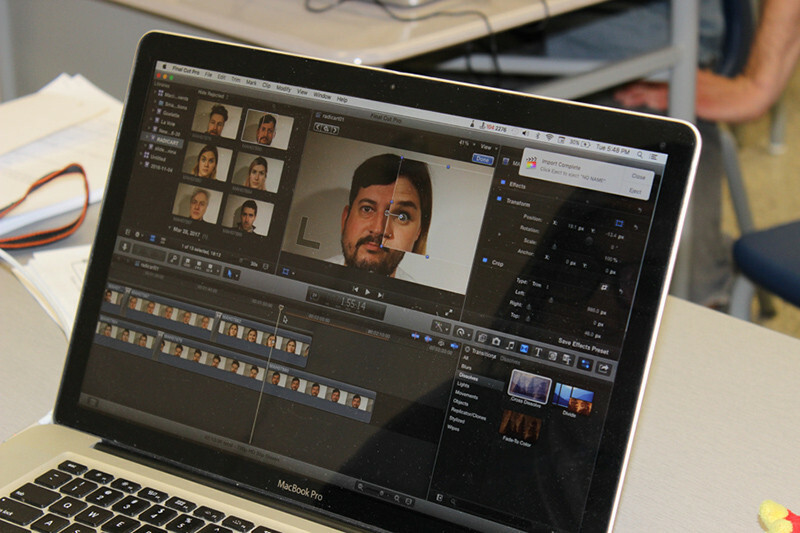 During this workshop, we explore the art of video editing, sound recording, and image! 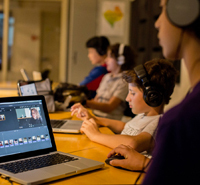 Using green screens, video cameras, professional software like Final Cut Pro and iMovie, you’ll have the tools to share your short films online. ► AGES 9 TO 12 – NOVEMBER 10, 10 AM TO 12 PM – REGISTER! ► AGES 13 TO 17 – NOVEMBER 10, 1 PM TO 4 PM – REGISTER! 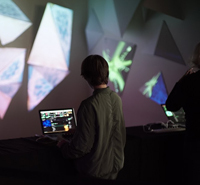 We discover the techniques and tools linked to live visual performance (VJing) and video mapping! We learn to add additional dimensions, optical illusions, animation and movement to videos! ► AGES 9 TO 12 – November 17, 10 AM TO 12 PM – register! ► AGES 13 TO 17 – November 17, 1 PM TO 4 PM – register! 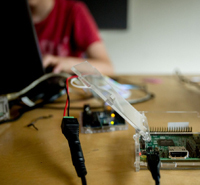 Raspberry Pi is a microcomputer that fits in your pocket and enables several artistic possibilities! 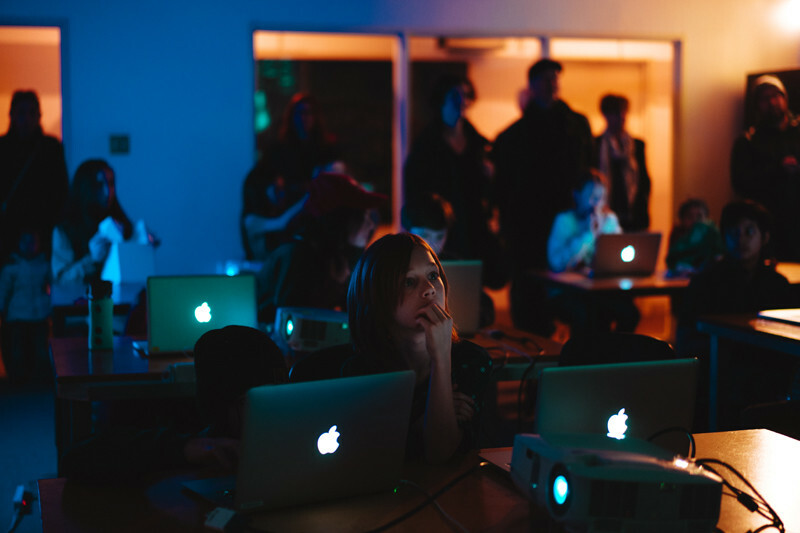 During the workshop, you’ll learn to create images and animations using your own code, and you’ll learn to connect your microcomputer to those of the group to create a collaborative work. ► AGES 9 TO 12 – DECEMBER 8, 10 AM TO 12 PM – register! ► AGES 13 TO 17 – DECEMBER 8, 1 PM TO 4 PM – register! 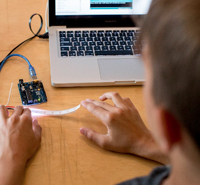 Discover the possibilities and uses of the Arduino microcontroller. 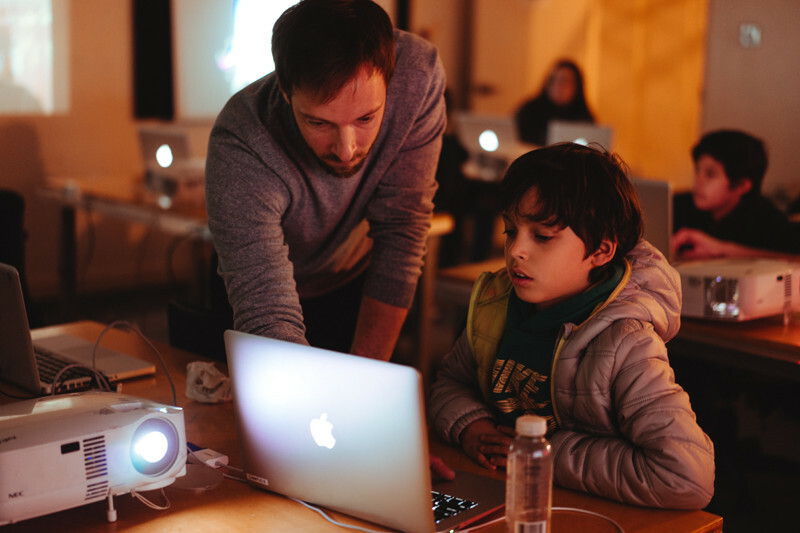 During this activity, we'll cover the basics of prototyping and programming in order for you to develop your very own light sequence. ► AGES 9 TO 12 – DECEMBER 15, 10 AM TO 12 PM – register! ► AGES 13 TO 17 – DECEMBER 15, 1 PM TO 4 PM – register! 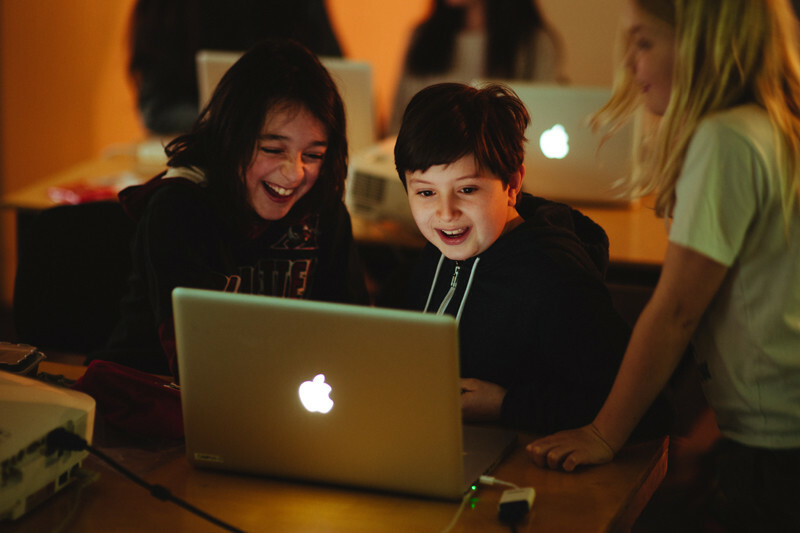 Are you curious to learn what it takes to create 3D images, play with shapes, and introduce yourself to simple animations? Come discover during this workshop the basic techniques of the software Blender that will allow you to create your own 3D artistic projects. 514 844 2033, extension 230.